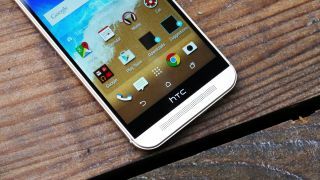 HTC unveiled its new flagship the One M9 over a week ago, and even though there were no major surprises it still managed to impress us. HTC announced at the show the phone would come in a 32GB version with microSD support of up to 128GB, but failed to mention whether there would be another variant to come. A well-known HTC leaker called @LlabTooFeR has now suggested the phone will come in a 64GB version launching before the end of the year. We asked HTC about the new rumour but it refused to comment on the news. The original HTC One launched in both 32GB and 64GB variants while the HTC One M8 dropped it down to either 16GB or 32GB. It's pure speculation but the announcement of the Samsung Galaxy S6, a major competitor for the HTC One M9, brought news of 32GB, 64GB and 128GB versions. HTC may see itself falling behind a little and perhaps decided to throw in some extra storage for those customers who really want it.